مقاله حاضر رابطه گرایش به مصرف گونه‌های موسیقی مردم‌پسند ایرانی و غربی و میزان پرخاشگری در بین دانشجویان را مورد مطالعه قرار می‌دهد. مشاهده برخی نشانه‌های پرخاشگری در میان دانشجویانی که تمایل بسیار زیادی به گونه‌های موسیقی مردم‌پسند ـ به‌خصوص گونه‌های غیربومی آن ـ دارند انگیزه اصلی انجام این پژوهش است. 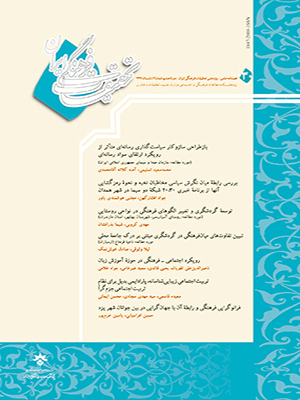 هدف اصلی تحقیق نشان دادن وجود رابطه معنادار میان مصرف موسیقی مردم‌پسند و میزان پرخاشگری است. برای نیل به این هدف، تعداد 410 نفر از دانشجویان دانشکده‌های دانشگاه اصفهان به کمک پرسشنامه محقق‌ساخته سنجش گرایش موسیقایی و پرسشنامه پرخاشگری، مورد آزمون قرار گرفتند. بر اساس یافته‌های حاصل از پیمایش مشخص شد میان گرایش به مصرف موسیقی مردم‌پسند و میزان پرخاشگری رابطه معناداری وجود دارد. در مورد گرایش به مصرف موسیقی مردم‌پسند ایرانی بعد از انقلاب، جهت رابطه منفی و در مورد گرایش به مصرف انواع دیگر موسیقی مردم‌پسند، جهت رابطه مثبت بود. کمترین و بیشترین گرایش به مصرف گونه‌های موسیقایی مورد بررسی، به ترتیب متعلق به موسیقی مردم‌پسند ایرانی بعد از انقلاب و موسیقی مردم‌پسند غربی (رپ، راک و هوی متال) بود که دوستداران موسیقی اخیر دارای بیشترین اختلال پرخاشگری بودند. در انتها به این نتیجه رسیده‌ایم که اگر بپذیریم موسیقی مردم‌پسند به علت ویژگی‌های خاص موسیقی‌شناسانه‌ای که دارد با ویژگی‌های روحی جوانان سازگارتر است و نمی‌توان آن را از سبک زندگی مصرفی این قشر حذف کرد، باید به فکر گونه‌ای از این موسیقی بود که حداقل پیامدهای رفتاری و اجتماعی را برای مصرف‌کنندگان آن به بار آورد. در میان این انواع، گونه ایرانی بعد از انقلاب بهترین به نظر می‌رسد. Ahmadi, S. , Sâdeqi, M. (1380 [2001 A.D]) Barrasi-ye Asarbaxŝi-ye Amozeŝ-e Kontorol-e Xaŝm-e be-h Ŝive-h Aqlâni, Raftâri, Atefi-ye Ellis dar Kâheŝ-e Parxâŝgari-ye Dâneŝ Amozân-e Dabirestânhâ-ye Pesarâne-h Ŝahr-e Isfahân (Persian Translation of The Study of Group Education Effectiveness on Anger Control by Ellis’s Rational, Emotional and Behavioral Method on Aggression Reduction among Isfahan’s High Schools students), M.A. Thesis, Faculty of social Science, University of Isfahan. (1381[2002 A.D]) “Barrasi-ye Asarbaxŝi-ye Amozeŝ-e Kontorol-e Xaŝm-e be-h Ŝive-h Aqlâni, Raftâri, Atefi bar Kâheŝ-e Parxâŝgari” (Persian Translation of Group Education Effectiveness on Anger Control by Ellis’s Rational, Emotional and Behavioral Method on Aggression Reduction among Isfahan’s High Schools students), Majale-h Ravânŝenâsi, Vol. 6(1): 52-72. Allâhyâri, A. (1376 [1997 A.D]) Taiin-e Parxâŝgari-ye Nojavânân bar Hasb-e Moalefe-h-hâ-ye Ŝaxsiyat va Tasir-e Ŝive-h Darmângari-ye Tanidegi Zodâi bar Parxâŝgari (Persian Translation of Adolescent Aggression in terms of Personality Factors and the Impact of Stress Therapist Aids on Aggression), General Psychology PhD Thesis, Faculty of Psychology, University of Tarbiat Modarres. Anderson, C. A., Carnagery, N. L. & Eubanks, J. (2003) “Exposure to Violent Media: The Effects of Songs with Violent Lyrics on Aggressive Thoughts and Feelings”, Journal of Social Psychology, Vol.84 (5): 960-971. Anderson, C.A. & Berkowitz, L. & Donnerstein, E. ,Huesmann, & L. R. Johnson, J. & Linz, D. et al. (2003) “The Influence of Media Violence on Youth”, Psychological Science in the Public Interest, Vol. 4(3): 81-110. Arnett, J. (1992) “The Soundtrack of Recklessness: Musical Preferences and Recklessness Behavior among Adolescents”, Journal of Adolescents, Vol.7 (3): 313-331. (1991) “Heavy Metal Music and Reckless Behavior among Adolescents”, Journal of Youth Adolescents, Vol. 20(6): 573-592. Bourdieu, P. (1984) Distinction: Social Critique of Judgment, translated by Karl Smith, London: Oxford University. Bryson, B. (1996) “Anything but Heavy Metal: Symbolic Exclusion and Musical Dislikes”, ASR, Vol.61 (5):150-181. (1997) “What about the Univores? Musical Dislikes and Group-based Identity Construction among Americans with Low Levels of Education”, Poetics, Vol. 25(2-3): 141-156. Bushman, B. J. (1998) “Priming Effects on Violent Media on the Accessibility of Aggressive Constructs in Memory”, Personality and Social Psychology Bulletin, Vol.24 (5): 537-545. Chan, T. W & Goldthrope, J. H, (2007) “Social Stratification & Cultural Consumption: Music in England”, European Sociological Review, Vol. 23(1): PP. 1-19. Durant, R. H. Rich; M. Emans, H. A. and Rome, E. S. (1997) “Violence and Weapons Carrying in Music Videos: A Content Analysis”, Journal of Youth Adolescents, Vol. 151(5): 443-448. Fâtemi, S. (1380 [2001 A.D]) “Mosiqi-ye Mardomi, Mosiqi-ye Classic” (Persian Translation of Popular Music, Classical Music), Faslnâme-h Honar, Vol. - (47): 145-159. (2005) La Musique Legere Urbaine Dans La Culture Iranienne, Reflexion Sur Les Notions Classique/Populaire, these de Doctorat de l’Universite Paris X- Nanterre. Fâzeli, M. (1384 [2005 A.D]) “Jâmeeŝenâsi-ye Masraf-e Mosiqi” (Persian Translation of Sociology of Music Consumption), Faslnâme-h Anjoman-e Irani-ye Motâleât-e Farhangi va Ertebâtât, Vol. 1 (4): 27-35. Ferguson, G. (1382 [2003 A.D]) Tahlil-e Amâri dar Ravânŝenâsi va Olum-e Tarbiyati (Persian Translation of Statistical Analysis in Psychology and Educational), Translated by Ali Delâvar and others, Tehran: Naŝr-e Arasbârân. Glass, G. (1372 [1993 A.D]) Raveŝhâ-ye Amâri dar Olum-e Tarbiyati va Ravânŝenâsi (Persian Translation of Statistical Methods in Education and Psychology), Translated by Jamâl Abedi, Tehran: Naŝr-e Dâneŝgâhi. Hansen, C. H. and Hansen, R. D. (1990) “Rock Music Videos and Antisocial Behavior”, Journal of Social Psychology, Vol.11 (4): 357-369. Herd, D. (2005) “Changes in the Prevalence of Alcohol Use in Rap Song Lyrics, 1979-97”, Addiction, Vol. 100(9): 1258-1269. Hitzler, R. (2002) “Pill kick: The Pursuit of “Ecstasy” at Techno Events”, Journal of Drug Issues, Vol. 32(4): 459-465. Johnson, J. D. Jackson, L. A. and Gatto, L. (1995) “Violent Attitude and Differed Academic Aspirations: Deleterious Effects of Exposure to Rap Music”, Basic Applied Social Psychology, Vol. 16(4): 27-41. Kaplan, H. & et al. (1375 [1996 A.D]) Xolâse-h Ravânpezeŝki, Olum-e Raftâri va Ravânpezeŝki-ye Bâlini (Persian Translation of The Summary of Psychiatry, Clinical Psychiatry and Behavioral Sciences), Translated by Nosratolâh Poorafkâri, Tehran: Enteŝârât-e Ŝahrâb. Manteqi, M., Mohammad-Zâde-h, A. (1383 [2004 A.D]) “Barrasi-ye Raveŝhâ-ye Hayajânjoi-ye Dâneŝjoyân-e Sâken dar Xâbgâh-hâ-ye Dâneŝjoi-ye Dâneŝgâh-hâ-ye Tehran” (The Evaluating Excitement Methods of Students Residing in Student Dormitory in Tehran Universities), Majmoe-h Maqâlât-e Dovomin Seminâr-e Sarâsari-ye Behdâŝt-e Ravâni-ye Dâneŝjoyân, Tehran: University of Tarbiat Modarres. Miranda, D. and Claes, M. (2004) “Rap Music Genres and Deviant Behaviors in Canadian-French Adolescents”, Journal of Youth Adolescents, Vol.33 (2): 113-122. Nelson, R., Israel, A. (1376 [1997 A.D]) Extelâlhâ-ye Raftâri-ye Kodakân (Persian Translation of Abnormal Behaviors in Children), Translated by Mohammad Taqi Monsi Toosi, Mashad: Enteŝârât-e Astân-e Qods. Peterson, R. A & Simkus, A. (1992) “How Musical Tastes Mark Occupational Status Groups”, in M. Lamont and M. Fournier, (ed. ), Cultivating Differences, Chapter Seven, Chicago: University of Chicago Press. Qâsemi, V. (1381 [2002 A.D]) Gerâyeŝ-e Javânân be-h Anvâ-e Mosiqi dar Ŝahr-e Isfahân (Persian Translation of Youth Tendency to Various Types of Musics in Isfahan), Isfahân: Edâre-h Kol-e Farhang va Erŝâd-e Islâmi. Qâsemi, V., Mirzâei, A. (1385 [2006 A.D]) “Javânân va Hanjârhâ-ye Rasmi va Qeyr-e Rasmi-ye Mosiqi-ye Pop” (Persian Translation of Youth and Formal and Informal Norms of Pop Music), Nâme-h Olum-e Ejtemâi, Vol.- (28): 99-122. Qâsemi, V., Samim, R. (1385 [2006 A.D]) “Tipologi-ye Moxâtabân-e Mosiqi bâ Tavajoh be-h Ŝedat-e Tamâyolât-e Mosiqâi-ye Anhâ” (Persian Translation of Music Audiences Typology Based on Their Musical Intensity), Faslnâm-h Mosiqi-ye Mâhor, Vol. - (31): 81-89. Roberts, D. F. & Foehr, U. G. & Rideout, V. J. & and Brodie, M. (1999a) Kids and Media at the New Millennium, Menlo Park, CA: Kaiser Family Foundation. Roberts, D. F. & Henriksen, L. Christenson & P. G. Kelly & M. Carbone, S. and Van Eijck, K. (2001) “Social Differantion in Musical Taste Patterns”, Social Forces, 79 (3) :1163-1184. Samim, R. (1386 [2007 A.D]) Qesrbandi-ye Ejtemâi va Masraf-e Farhangi bâ Tamarkoz bar Masraf-e Mosiqâi dar Sahr-e Tehran (Persian Translation of Social Stratification and Cultural Consumption by Focusing on Musical Consumption in Tehran), Sociology M.A. Thesis, Faculty of Social Science, University of Isfahân. Samim, R., Fâtemi, S. (1386 [2007 A.D]) “Pažoheŝi Jâmeeŝenâxti dar Bâb-e Masraf-e Mosiqâi dar Beyn-e Afrâdi bâ Pâygâh-hâ-ye Ejtemâi-ye Motefâvet: Motâle-h Moredi-ye Tehran” (Persian Translation of Sociological Research on Musical Consumption among People of Different Social Status: A Case Study of Tehran), Naŝriye-h Honarhâ-ye Zibâ, Vol. - (32): 127-135. Wingood, G. M. & DiClemente, R. J. & Bernhardt, J. M. & Harrington, K. & Davies, S. L. & Robilard, A. & Hook, E. W. (2003) “A prospective Study of Exposure to Rap Music Videos and African-American Female Adolescents Health”, American Journal of Public Health, Vol. 93(3): 437-439. Xâjenoori, B., Moqadas, A. (1387 [2008 A.D]) “Barrasi-ye Avâmel-e Ejtemâi va Farhangi-ye Moaser bar Mizân-e Gozarân-e Oqât-e Farâqat: Mored-e Motâle-h Dâneŝ Amozân-e Dabirestâni-ye Ŝahrestân-e Abâde-h” (Persian Translation of Social and Cultural Factors’ Effects on the Rate of Leisure Times: a Case Study of Abade-h High School Students), Pažoheŝnâme-h Olum-e Ensâni va Ejtemâi,Vol.- ( 8): 33-156.